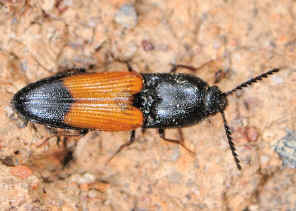 Lycid-mimicking Click Beetle - Anilicus sp. This page contains information and pictures about Lycid-mimicking Click Beetles in Family Elateridae that we found in the Brisbane area, Queensland, Australia. 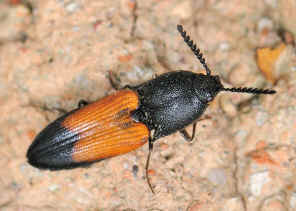 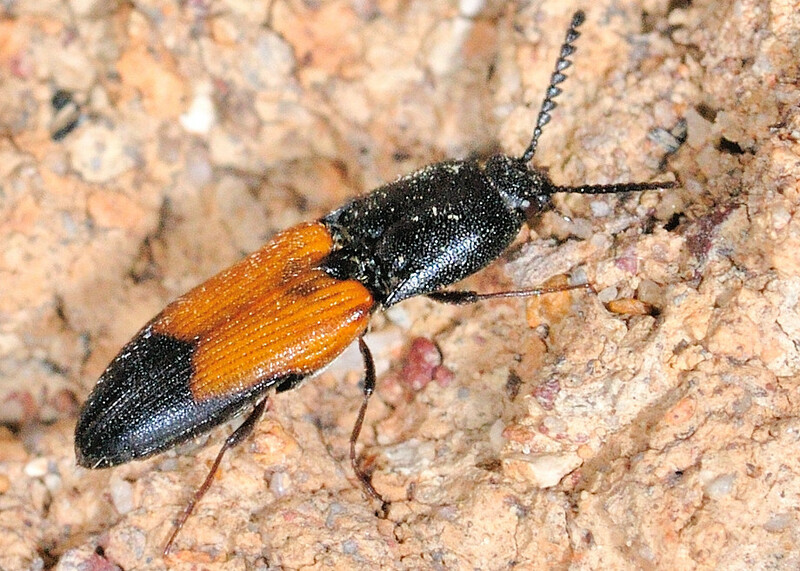 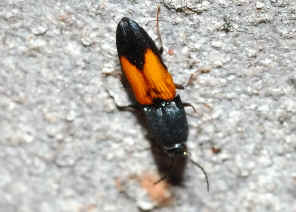 This Click Beetle is orange and black in colours which is the colour theme of the Lycid Beetle mimicry complex. Pictures were taken in Karawatha Forest Dentata Track on Oct 2007. 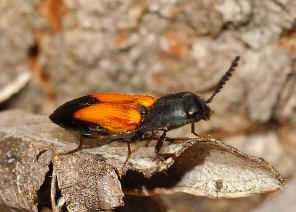 The beetle was found on a gum tree trunk. 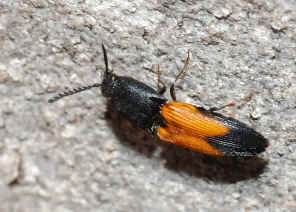 It dropped onto the ground after we took some photos.